I’m pretty sure that one of my long-time friends from high school is about ready to kill me. You see, I’ve been making a lot of venison recipes lately, and I usually post a pic on Facebook of those dinners. He, apparently, really wants some venison. He comments on every picture, and on the latest one he told me that he’s gonna punch me in the face. Ha!!! I literally laughed out loud when I ready it. Said all out of love, of course. And who can blame him, really? Venison is some good stuff! I’d probably want to punch someone in the face if they kept posting pics of delicious food that I couldn’t have. 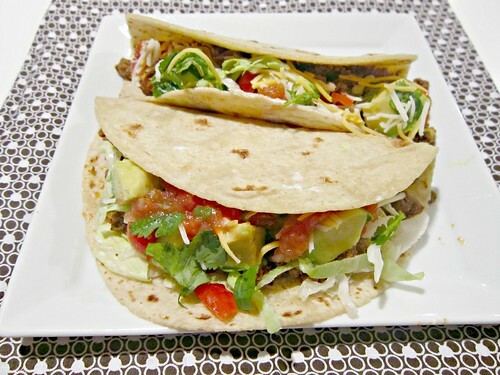 Like these tacos. 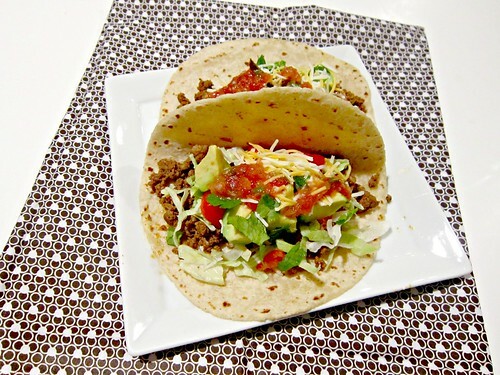 Let’s just say that it’s a pumped up version of ground beef tacos. A much tastier version. I used the “usual” spices, and then added red wine vinegar just for kicks. I think it added a nice punch of flavor. It also helps to cut some of the gamey taste. Just look at that pile of deliciousness in a tortilla. I love tacos. Have I mentioned that? Maybe once or twice? And I really love these tacos. You will too. Heat a skillet over medium high heat. Add the venison and cook until browned. Add the chili powder, cumin, garlic, and vinegar. Stir to evenly coat the meat, reduce heat, and simmer for about 10 minutes to let the flavors absorb. 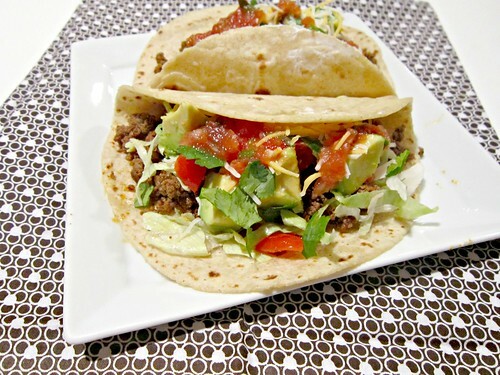 To assemble, warm your tortillas and top with a good helping of the venison, some tomatoes, avocado chunks, shredded lettuce, cilantro, and your favorite salsa. Easy peasy!